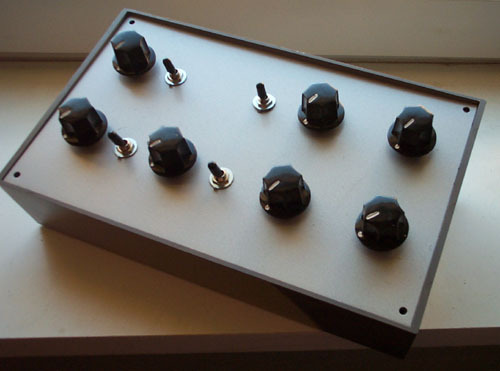 “Arch” 424 is a voltage-controlled oscillator. This VCO’s frequency range is wide, Can be used as VCLFO. It can produce four waveforms simultaneously: square, sawtooth, triangle, PWM and sine wave (sawtooth shape is not perfect yet). The frequency or pitch of the VCO is determined by tuning (Pitch and Fine) knob, and by the voltage present at the CV inputs. You can control the pulse width of the square wave either by hand, or by voltage control – Pulse Width Modulation or PWM. If perfect pitch is required better VCO is recommended. For a perfect sawtooth this is not recommended. 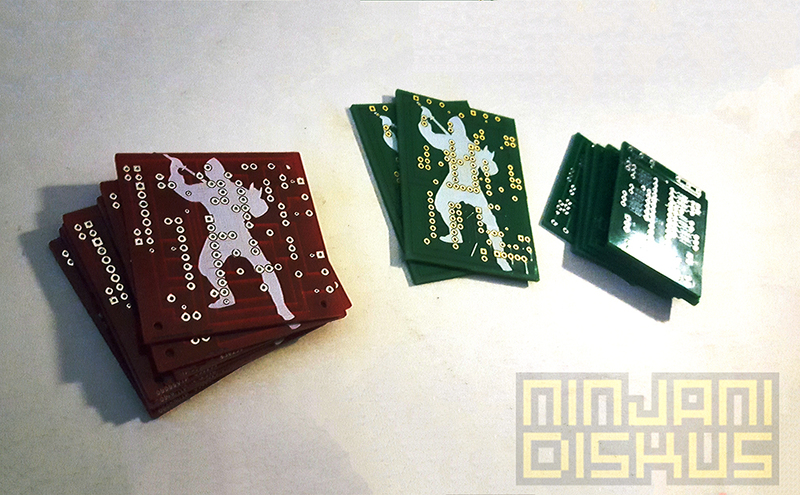 Even more printed circuit boards ! 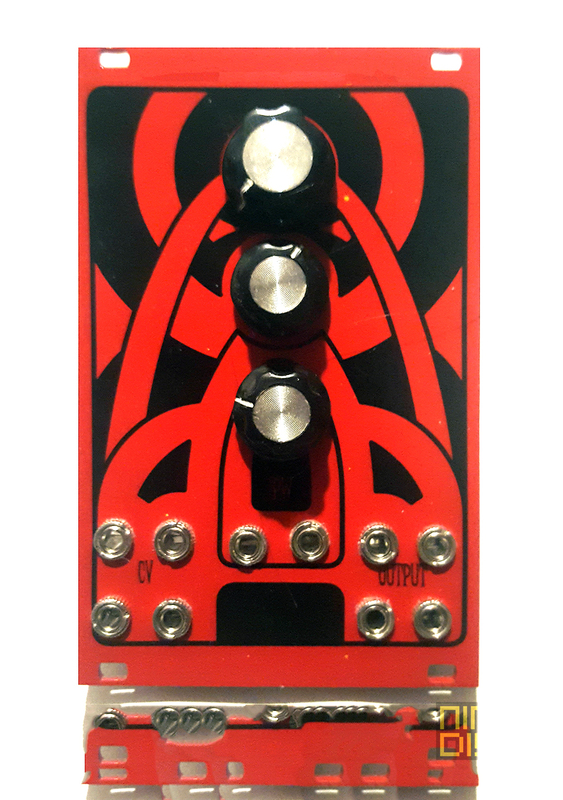 Minimaeen is a little analogue bass/effect synth, with very kool sound tweaking abilities. Built around 2 Philips NE5517. Its oscillator has selectable square and triangle wave output. Diode ladder filter with it’s screaming cutoff and resonance, makes tweaking a joy. 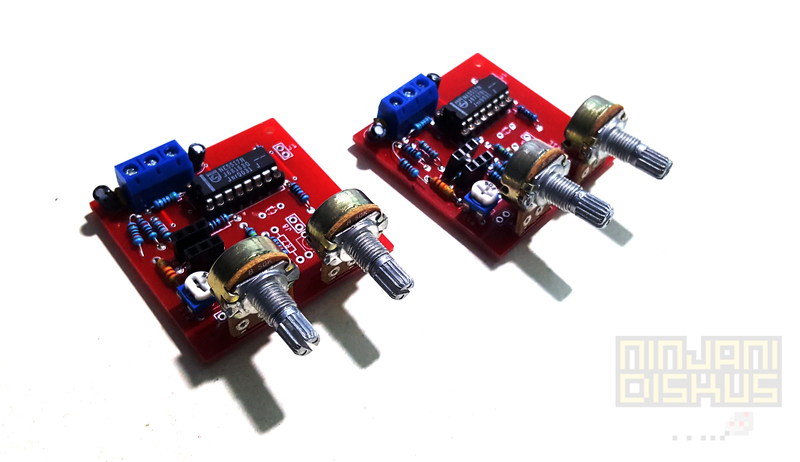 Minimaeen has a low frequency oscillator that can be routed to the voltage controlled oscillator or the filter cutoff.